On Friday, July 6, 2018, MP Hotels inaugurated its newest hotel property: Seya Beach Hotel. The inauguration was attended by stakeholders of MP Hotels, social influencers and business leaders. Munich, Germany – This past Friday, July 6, 2018, MP Hotels launched its much anticipated Seya Beach Hotel; a design-centric cosmopolitan seaside escape in Turkey’s attractive coastal town of Alaçati. The 190-room Seya Beach Hotel is the second Design Plus branded property of MP Hotels. The festive inauguration event was attended by stakeholders and business moguls the likes of Mustafa Suzer and Samih Sawiris, FTI Group shareholder. The inauguration of Seya Beach Hotel served as a teaser of what the hotel will offer guests. Thus, the official opening celebrated the hotel’s delectable international food offerings, signature drinks, happening onsite music and fashionable designs. The hotel’s Seya Beach Club played host to this lively event. The latter is expected to become a popular and dynamic hangout for the trendy set of Alaçati and Çe?me. As it is a restaurant and club that will celebrate life, from morning until evening, with the best cocktails, music and ambiance in the area. Contemporary canapés and Far East inspired hors d’oeuvres were served throughout the occasion. A wonderful sushi station, fluid cocktail service, live-band and DJ set were among the highlights of the celebration. All functioned as high-caliber samples of what is to be expected at this happening cosmopolitan bastion of relaxation and fun. The opening championed the Design4You mantra that is being incorporated into every Design Plus property. This concept pushes forward a chic lifestyle, and establishes each hotel as a place where distinctness is the rule. Design Plus hotels will honor this motto through its promise to deliver 4 signature drinks created by our top-tier in-house mixologist who serve premium hand-crafted cocktails and 4 signature dishes served only at Seya Beach Club. Design Plus hotels are all equipped with high-end restaurants that provide guests with a modern international dining experience. Nevertheless, Design Plus hotels are very much imbedded in the local culture of their location, continuously putting a local twist in their service and dining offerings. Seya Beach Hotel embodies all of these ideas in a way that is unique to itself. Guests will immediately notice this upon arrival. For example, the hotel’s building is an homage to the color of the stoned edifices of Alaçati. While the colors of its rooms pay tribute to those that adorn this beautiful town. Seya Beach Hotel is a premium beachside experience for design-appreciative and transnational travelers in need of a seaside escape in the Aegean sea. The hotel is equipped with a private beach, swimming pool, restaurants, spa center and exciting onsite bars, among other things. Seya Beach Hotel is now officially open for business, and seeking to become a hotel of reference in the area. MP Hotels unveiled their Design Plus hotel brand during Spain’s FITUR 2018 conference with the introduction of Hotel BEX in Las Palmas, Canary Islands, Spain. 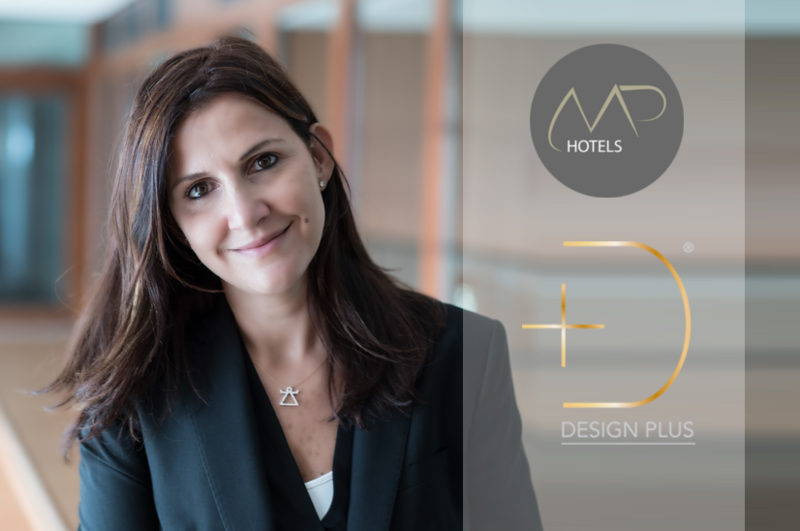 The latter was the first MP Hotels property to be branded as a Design Plus hotel. More Design Plus hotels are expected in the near future. MP Hotels has yet to announce the future location of their next Design Plus hotel. However, MP Hotel’s ongoing exponential growth most likely means that the next location will be announced in the not so distant future. Founded by FTI Group in September 2015, Meeting Point Hotels is an international hospitality company with a portfolio of five brands comprising more than 60 properties with more than 14,000 rooms, in 10 countries and 4 continents. The company’s portfolio includes LABRANDA Hotels & Resorts with its five sub brands that include select, comfort, balance, family star and city, Design Plus Hotels, Kairaba Hotels & Resorts, Clubs Plus Hotels & Resorts and Lemon & Soul hotels. Located in sunny destinations, by the beach or in close proximity to the beach, Meeting Point Hotels is dedicated to serve guests hospitality with a smile and deliver authentic experiences with a local flair. Whether couples, singles, families or friends from sun-seekers, sports fans, culturally interested or just enjoying the local cuisine, Meeting Point Hotels has the right choice for everyone. Visit us on MPHotels.com, connect with us on Facebook and Instagram.